Tasbulk Pty Ltd was first established in 1978. Tasbulk has over 40 years experience in the industry. Specialising in shipping containers in Tasmania, Tasbulk have shipping containers to meet your requirements at the best price. 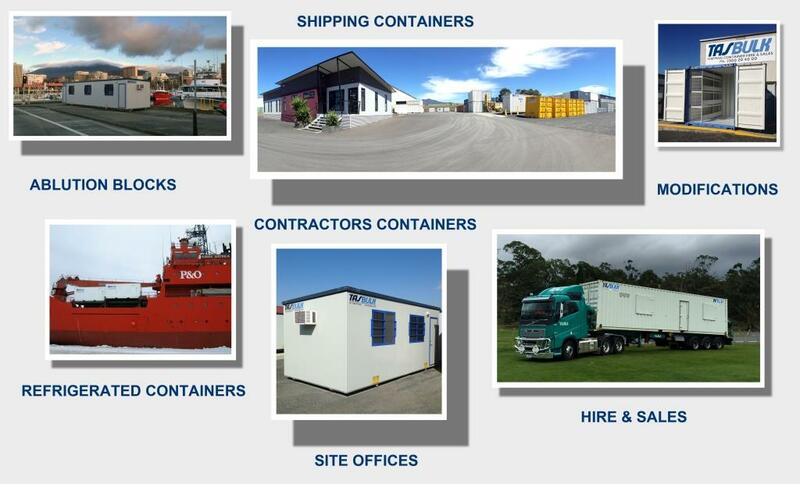 We are an Australian privately owned and operated company which provides shipping container and transportable building services to a wide range of industry sectors. Over the many years of trading, Tasbulk has forged close relationships with some of the major global container leasing companies. To service our growing hire fleet, Tasbulk now manufacture new build shipping container equipment in China. We are able to supply standard ISO containers or design and fabrication of "special build" equipment. Tasbulk undertake all fabrication and modifications using directly employed local tradesmen. Our taxes are paid within Australia and our profits are spent in the local community.